Sampling Theory, Testing of Hypothesis. 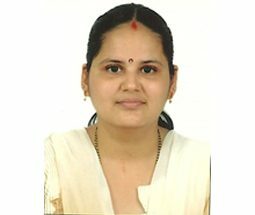 Dr. Archana.V has an M.Sc. and Ph.D. in Statistics from Mangalore University. She began her career as a teacher at Poorna Prajna College Udupi and has four years of teaching experience. “Improved estimator of Coefficient of Variation in finite population” has won the prestigious “Jan Tinbergen Award” which was presented at the 56th session of International Statistical Institute (ISI, Netherlands), held at Lisboa, Portugal. She has also served as member of “International Indian Statistical Association” for a year. She has presented around seven papers in many national and international conferences. Four of her papers have been published in peer reviewed journals good repute.